I’ve loved jewellery ever since I can remembered. I always would see the glits and glam of the sparkly rings I saw my mums friends wear and I would always just look at then and admire them!! Diamond and sparkly gems were always my favourite and I had so much dress jewellery I would wear it all at once, now I’ve really gone up in the world with my jewellery! I have 3 pairs of earrings that I’ve found and I’m in love with. No way I need more earrings anyway but I just have a thing for them. 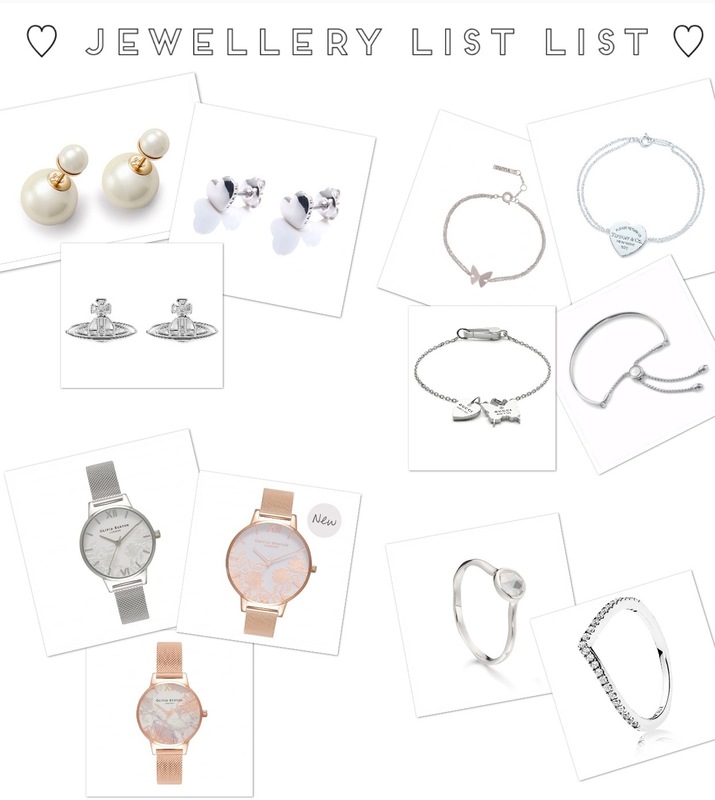 The Dior earrings are such a statement / investment that I think are gorgeous, the Vivian Westwood are just go with everything and are so dainty and the ted baker are so simple yet wearable! One thing with all the watches is they’re all Olivia burton. I’ve recently fallen in love with their watches! The designs are out of this world and so original whilst being a good price - I honestly think everyone should have one! The silver is like an everyday and the rose gold lace is too but the abstract floral watch is just a gorgeous dress watch I’ve fallen in love with! Finally into the last section but the bracelets. Other than my pandora I have no braclets I wear and I’d love a dainty chain bracelet! They’re so many gorgeous ones but the 4 I found are my favourite!! The Olivia burton is so delicate with a simple touch, the Tiffany’s one matches my necklace, the Monica Vinader one is just so gorgeous and different to anything I’ve seen and the Gucci matches my earrings! I really need to get saving, I do have an expensive taste! All of this jewellery is just what I’ve fallen in love with and one day I do hope to own some of it! I love the look of those watches. Love Pandora!! And Tiffany’s! And all jewelry!! Great post, Which you have shared here about the jewellery. Your article is very interesting and I really enjoyed reading it. 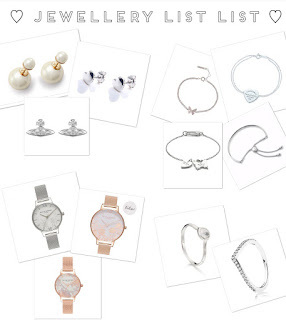 If anyone looking for the best Fashion Jewellery Store Online, bevellier is a good choice.